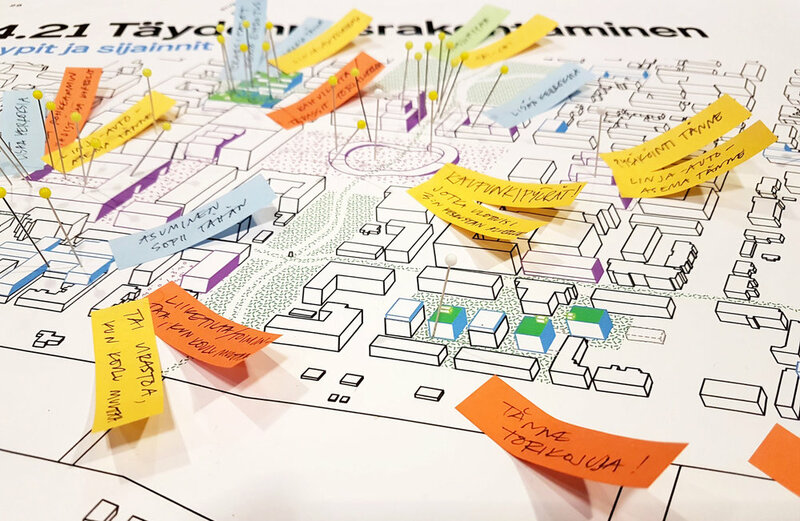 On Thursday 7th of June, the citizens, politicians and planning authorities of Porvoo gathered to an open workshop concerning the development of the city centre. As a part of Uusi Kaupunki collective, and together with WSP Finland and Trafix, we are currently working with a general plan for the renewal of the central areas. The work addresses the traffic and parking solutions of the future, need for increasing pedestrian access and biking lanes, as well as possibilities for densification within the city's classisistic centre. After tonight, we have an abundance of input and feedback to move forward with. Check out the latest media coverage from the workshop from Östnyland magazine here.